Dr Pepper RIbs Recipe! Masterbuilt 40" Sale Ends Soon! They're finally coming...! The new model Masterbuilt 40" Electric Smokers are on their way... They should arrive on our shores by the end of Novemeber, ready to ship by the end of the first week of December, with plenty of time before Christmas. THE WORLD'S BEST EVER BBQ SAUCE!!! Cowtown's Night of the Living BBQ Sauce - Ok, so I haven't tried them all BUT... this suace is AMAZING. One of my best mates is from a small town in Kansas and he introduced this local BBQ Hot Sauce to me several years ago, and I've been hunting it down ever since. This is my favourite BBQ sauce of all time and I'm so excited we can offer it to our customers for the first time on Smoked and Cured. We've also got some seriously HOT hot sauces, jerk sauces and salsa's on the site, which are not for the faint heartd... Check them out here. 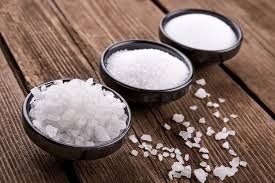 Due to numerous enquires... We're please to announce we now sell Misty Gully PDV Salt in retail size at Smoked & Cured. PDV is a high purity, fine cubic-crystal salt, especially manufactured to remove all the residual chemicals and impurities found in salt. A vital requirement in cheese production and the secret ingredient in many a traditional curing recipe, Misty Gully PDV is unsurpassed in purity, quality and performance. ...and some old favourites are back too! Meat Lovers and Vegans rejoice! JD's famous bacon rub is back. It's been far too long between rashes for us at Smoked & Cured but we're pleased to let you know that these all natural, vegan friendly rub is back and it is once again, flying off the shelves. We're also back in stock with their original Bacon Salt, along with something for the sweettooth's and larger-than-life flavour lovers out there... Candied Bacon Seasoning... Trust us, try it and you'll be hooked...! Also back: Woods! We have had several shipments over the past few weeks and the warehouse is packed to the rafter with woods. Several of the staple favourtes are back - Cherry chips and chunks, Maple chips and chunks, along with Oak, Hickory, Pecan and more... Also, be sure to try our new Sandalwood wood chips.. Try this and create the most AMAZING aroma while you cook...!!! DO Be a Silly Sausage! Huge 20% off Sale! Summer is almost upon us along with the silly season. 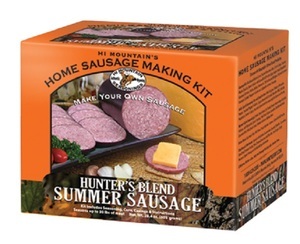 So for the lackof any better reason to have a sale - we're taking 20% of the Hi Mountain Summer Sausage Kits! Long overdure, but finally here. Our FAQ section. Where we try to cover everything from curing salts to smoking woods, DIY Bacon and Ham to Banquet Bags. Please check it out. We're hoping to had to it frequently, and if there's vital information that is NOT on there and you think it should be - please let us know. Also stay tuned for our upcoming recipe section. These were the best ribs we've ever had. Thanks to Josh in Adeliade for this beauty! Enjoy your $50. 1) Make your sauce - ideally a day in advance. Perheat stove. Over a medium heat - melt butter. Add Garlic, onions, chilli. Stir til onions and garlic start to go soft and see-through. Add BBQ sauce, Worchester sauce, vinergar, salt and Dr Pepper. Drink remaining 1/2 can of Dr Pepper because it's awesome and after all that chopping you've earnt it. Turn heat down a touch and sit rover the next 30 minutes while the sauce thickens. Add corn starch if you think the sauce is too runny, but this may not be neccessary. Let cool for 15-20 minutes then puree. Put in fridge. 2.) Prepare ribs in the usual way, trimming away the unwanted bits and smearing liberally with your Apple BBQ Rub. This goes amazingly well with the sauce we prepared earlier and the cherry smoke we'll be infusing our cook with... Wrap ribs in foil and put in the fridge along with the sauce... then get some sleep cos tomorrow you're going to have some eating to do...! 3.) Fire up smoker to about 110C. When humming, add cherry chips/chunks/pellets. When it's smoking, add the ribs. Cook in the usual manner - meat side up. After 3 hours, remove ribs from the smoker, cover in foil then replace and cook again. After another 2 hours, remove again. Brush 75% of your sauce on your ribs and leave in the smoker until it begins to caramelize. Do not fully cover with foil. After approx more 30 mins. remove the ribs, add the remaining sauce, cover completely in foil and cook for a final 30 minutes. Put aside for 20 mins, then slice them up and serve! Every newsletter we write, we really enjoy going through our product reviews to pick our 3 winners of the $20 store credit. Thank you for taking the time to review our products and for giving us the feedback, they really help. Congratulations to Vincent, Danielle and John! Could Vincent please contact us so that we can apply your $20 credit? Please remember to submit your name in full for any reviews as it helps us identify you as the winner. I use Misty Gully's mesquite liquid smoke to brine my brisket and chicken over a few days. When baking these, not long will you get the smokey aroma without smoke in your house. It is ideal for cooking indoors when the weather does not permit you cooking on the bbq. Thanks for reading our latest newsletter and good luck with the smoking, sausage and salami making or any other smoking and curing in the next few months! Please feel free to upload/post pictures of your smoked and cured products to our Facebook page for other like-minded people to check out. 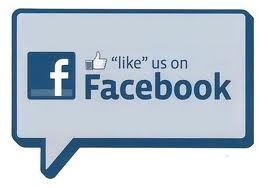 If you haven't joined our page already please double click on the picture below. If you have any product suggestions or requests, please drop us an email at: info@smokedandcured.com.au and we’ll try our best to stock it. Ben, Brenton and the Smoked and Cured Team!